AAAA quality pearls only represent 2.5% of any given annual pearl harvest. 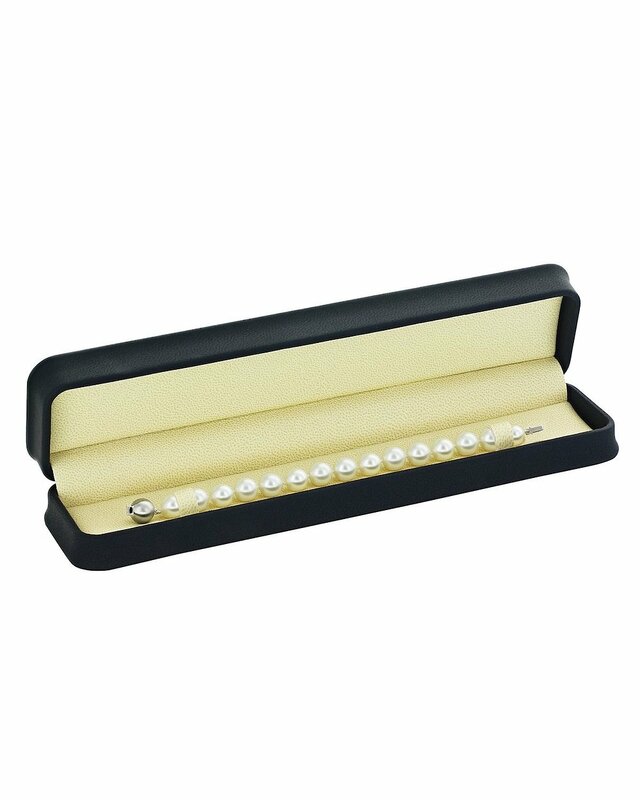 Each pearl is a rarity in itself, representing the highest quality available anywhere. 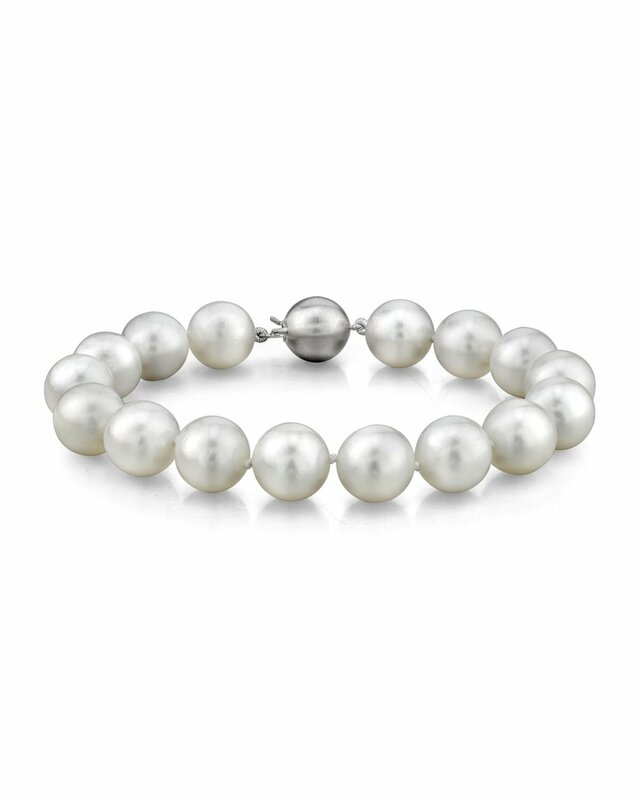 This gorgeous Australian pearl bracelet is an item that is hard to find. The pearl bracelet consists of 11-12mm AAAA quality white South Sea pearls with 'Very High' luster. The bracelet will be affixed with a beautiful clasp of your choice. If you have any further questions regarding this pearl necklace, please feel free to speak to one of our pearl experts over the phone by calling 866-87-PEARL (866-877-3275) at anytime. Wonderful and super match with the rest of the set. The quality of the bracelet is stunning. I was literally about to spend 4 times more at a Mikimoto store locally. Exceptional piece and well-matched diamond pave clasp.